Things continue to go well for me here in the South West Peninsula. My work with both PRS and Euroforest has sent me travelling to forests throughout southern England, from Cornwall to Sussex. Minor mechanical issues aside (I’ve briefly swapped the Mitsubishi 4×4 for a Skoda sedan), this month’s explorations have provided me with lots of opportunities to learn more about the profession of forestry in a British context. Unlike Canada, which possesses a great number of highly productive native coniferous trees, the UK his home to only three native softwood species: common juniper, English yew, and Scots pine. Of these, only the hardy Scots pine is seen to have any application in commercial forestry, though this tree is not common in southwestern plantations. Fortunately for the sawmills of England, however, the UK maintains a relatively moderate climate with lots of annual rainfall, especially along its western coast. This means that forests in Devon and Cornwall present excellent growing conditions for many highly productive species like Douglas-fir, sitka spruce, and other softwoods native to the west coast of Canada. As a result, I frequently find myself working in stands composed entirely of tree species from British Columbia, and have had to quickly brush up on some of my ‘Canadian’ tree identification skills just to keep up with my English coworkers. A typical English softwood plantation, composed almost entirely of North American species. Though sitka spruce and Douglas-fir dominate the plantations of England’s South West Peninsula, the protection and promotion of native broad-leaved species is also a major component of forestry work throughout the UK. 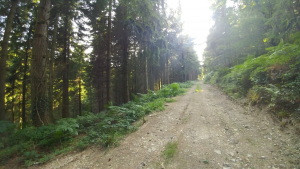 My colleagues at PRS work to maintain, replant, and create new broad-leaved and conifer forests. This month, I’ve helped out with beat-up counts, which assess the success of tree planting efforts. Planted trees must often be planted with plastic guards to prevent browsing damage, which means that I spend a lot of time looking down into plastic tubes to check on young trees. 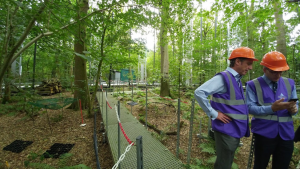 Assessing planting success at a newly created woodland. 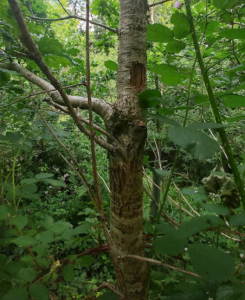 Unfortunately, many of the UK’s native broadleaved trees are facing serious threats. 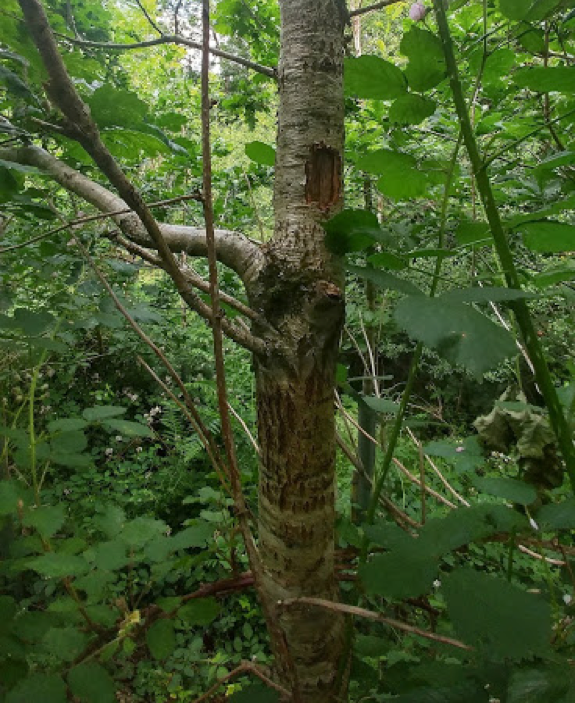 Britain’s native ash trees are threatened by an onset of a massive ash dieback epidemic, which will likely wipe out most of the native ash in England and Wales. Meanwhile, oaks and maples face regeneration challenges brought on by overgrazing by native and introduced deer species, as well as catastrophic bark-stripping damage caused by invasive grey squirrels. Acute oak decline threaten the iconic English oaks, while Phytophthera ramorum threatens sweet chestnut stands throughout the southern England. Regenerating oaks damaged by invasive grey squirrels. The forestry community is responding to these threats. 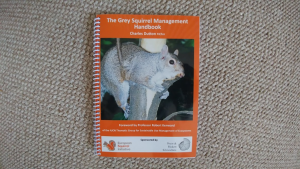 For example, a colleague at PRS has recently published a grey squirrel management handbook, providing practical advice for forest managers while making a strong case for a unified effort to eliminate grey squirrels from the landscape, in order to protect the future of native broadleaved trees. 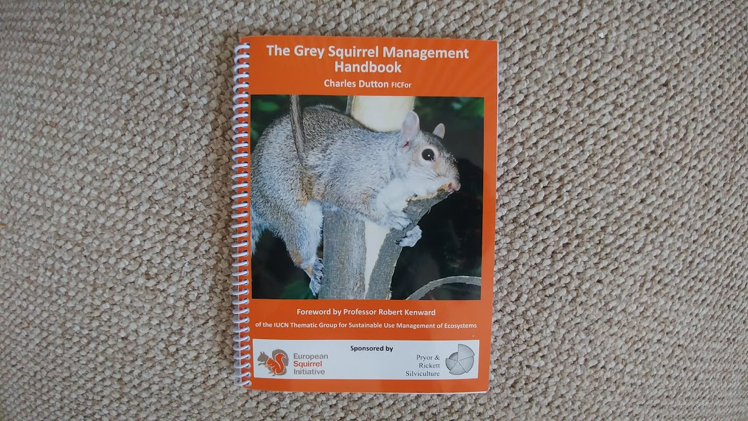 Grey Squirrel Management Handbook, by Charles Dutton, FICFor, Senior Forest Manager, PRS. The Action Oak Initiative, which aims to raise money to support research and raise public awareness surrounding threats to England’s oak trees. In late July, Erin and I were invited to observe an Action Oak Roundtable meeting, also attended by Prince Charles. After the meeting, we were fortunate to get a chance to briefly speak with HRH, who asked us questions about our respective placements and encouraged our work. 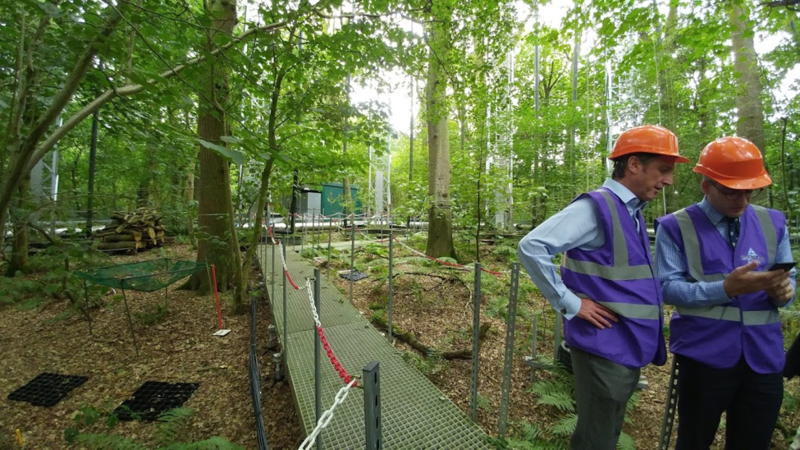 That same day, Erin and I also visited the BiFoR (University of Birmingham Institute of Forest Research) FACE (Free Air Carbon Dioxide Enrichment) experiment, housed at the estate which hosted the roundtable meeting. FACE explores the impacts of increased atmospheric CO2 levels on native forests, contributing to our ability to model predicted responses to future carbon emissions.